By Amanda Glenn June 18, 2018 This post may contain affiliate links. When I went back to work after having each kid, wardrobe was a bit of a challenge – both because I was still carrying a decent amount of baby weight and because I was pumping while at work. (When I was at home on maternity leave, I basically wore the same 3 nursing shirts in rotation.) 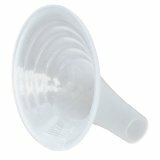 I had some dresses that I could still fit into, but they were not breastfeeding friendly clothes – they zipped up the back, and I basically had to completely take them off in order to hook up my breast pump. Nursing clothes aren’t just for nursing moms, they are great investments for exclusively pumping moms, too! (In your case, they’re “pumping tops”!) I love them for three reasons – accessibility, comfort, and discretion. With regard to accessibility, obviously, when you’re breastfeeding, you need to be able to easily get to your chest so that you can hook yourself up to your pump without a hassle – especially when you’re pumping six to eight times a day. 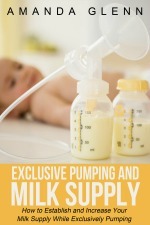 Nursing tops also allow you to pump a lot more comfortably. 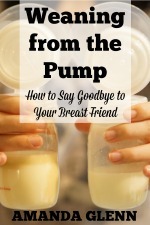 Personally, I have never liked pulling up my shirt to pump and then feeling cold – especially when the bottles resting against my stomach are also cold. It is no fun to have to be exposed and cold while you pump – and the stress associated with that discomfort not good for your supply, either. Breastfeeding friendly clothes also allow you to pump in public with a lot more discretion. (Well, as much as it’s possible to be discreet while pumping in public!) You don’t need to expose your stomach while you get situated – you can just hook yourself up to pump hands-free with a nursing cover and keep yourself covered. Here are some of my favorite pumping-friendly clothes from Undercover Mama. Image credit: Undercover Mama. Used with permission. 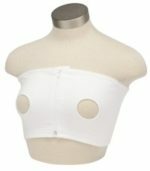 This is a strapless tank that attaches to any nursing bra. When you’re ready to pump, you can pull up your shirt, unhook the tank from your nursing bra, and you’re all set to go (and fully covered). It’s also really long, which I personally have always really needed with my postpartum bellies – the last thing I want to be doing is constantly tugging my shirt down to cover everything. This super cute shirt (that works as a maternity shirt, too) has a panel that lifts up and unhooks, so you can keep your shirt on, stay covered, and easily hook yourself up to pump with a hands-free bra. I love this dress and would probably wear it all summer. It has the same panel and hook configuration as the nursing shirt, and it even has pockets! 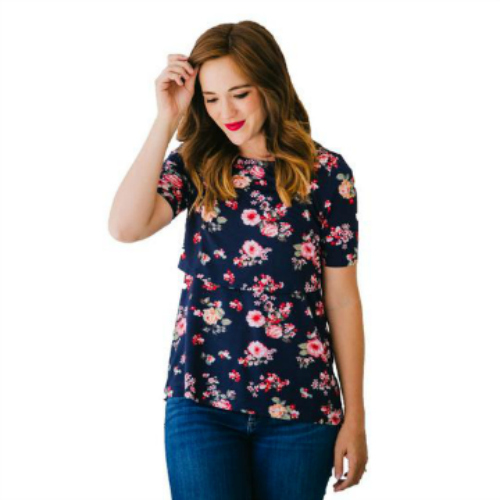 I would pick the floral top, it would be great with dress pants for returning to work.